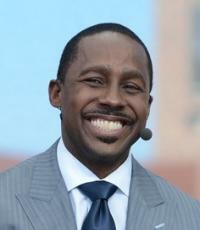 Direct Sportslink has worked with Desmond Howard on numerous speaking engagements, appearances, and endorsements. Direct Sportslink secured Desmond for Nissan's Heisman House television commercials featuring numerous Heisman Trohpy Winners including Eddie George, Barry Sanders, Robert Griffin III, Ricky Williams, Archie Griffin, Herschel Walker, Tim Brown, Charlie Ward, Marcus Allen, Vinny Testeverde, Troy Smith, Matt Leinart, and Doug Flutie. Please view the above video link to watch Desmond in the Heisman House commercial. A Desmond Howard personal appearance, Desmond Howard speaking engagement, or Desmond Howard endorsement will reflect well on your company. To hire Desmond Howard now for any corporate appearance, fundraiser, motivational speaker event, personal appearance, autograph signing, or website endorsement please contact our celebrity agents at 1-877-6-SPORTS. We will contact Desmond Howard or contact Desmond Howard's agent and provide you with the booking fees and availability immediately upon your request. Direct Sportslink is the only sports speakers bureau and talent booking agency based in the United States securing only sports talent for corporations, associations, and organizations for motivational speaking engagements, personal appearances, and endorsements. We are the premier sports celebrity booking agency and a sports celebrity procurement expert. Accordingly, we will provide you with any relevant Desmond Howard website information and booking agent details so that you can hire Desmond Howard for your next event. Desmond Howard attended the University of Michigan, where he won the Heisman Trophy in 1991. Playing wide receiver, returning kicks, and returning punts, Howard scored 23 touchdowns in 11 regular-season games. 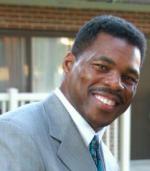 Howard was a member of four consecutive Big Ten championship teams at Michigan (1988-91), traveling to three Rose Bowls. The moment which defined Howard's college career was his memorable touchdown-scoring 93-yard punt return against archrival Ohio State in 1991. Once he reached the end zone, Howard struck the now-famous "Heisman pose," thus causing ABC play-by-play commentator Keith Jackson to utter the line, "Hello, Heisman!" Since this moment, he has been credited with popularizing the "Heisman pose" as an on-field celebration for football players at all levels. The Washington Redskins selected Howard in the first round, 4th overall in the 1992 NFL Draft. His most notable professional season was in 1996 when Howard also helped the Green Bay Packers to win Super Bowl XXXI with his 99-yard kickoff return touchdown that stopped the New England Patriots' hope for a comeback. Howard was named Super Bowl XXXI MVP and as of 2009 is only one of four people to ever win the Heisman Trophy and be named Super Bowl MVP. 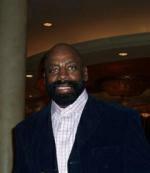 Howard also played for the Washington Redskins, Jacksonville Jaguars, Oakland Raiders, and the Detroit Lions. Desmond has spent much of his career after football working for works for ESPN as a college football announcer for College Gameday. Please feel free to visit the Official Desmond Howard Website for other Direct Sportslink bookings of Desmond Howard speaking engagements, personal appearances and endorsements. Based on your interest in Desmond Howard as a speaker or for a personal appearance, Direct Sportslink has provided you additional links below for other sports talent with similar appearance fees, speaker topics, and categories that match Desmond Howard.